Civil rights leader Rosa Parks is best known for her courageous act of refusing to give up her seat to a white passenger on a bus in Montgomery, Alabama on December 1, 1955. Although she was not the first African American to do this, she is credited for kickstarting a very important movement in history for the civil rights of Black people. But there is so much more to her story! #1 - Her heritage was a mixture of African, Cherokee-Creek Indian, and Scots Irish. #2 - Rosa’s stand led not only to her arrest, but also a boycott of Montgomery buses in a protest against discrimination that lasted 381 days. #3 - Rosa and her husband both lost their jobs because of their political stand against discrimination. #4 - Rosa and her husband moved to Hampton, Virginia because of the death threats they were receiving. #5 - Rosa never had children. #6 - In 1999, she received the Congressional Medal of Honor for national influence to bring about positive change. #7 - Time Magazine named her one of the 20 most powerful and influential figures of the century. 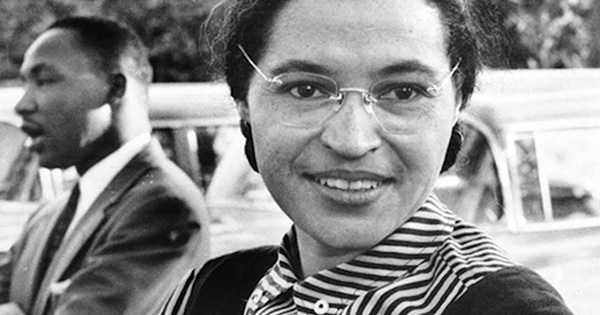 #8 - In 2013, Rosa Parks became the first African American woman to have a statue made of her and displayed in National Statuary Hall, United States Capitol, Washington, D.C.
#9 - Rosa lived to be 92 years old. #10 - On the day of Rosa’s funeral, President George W. Bush issued a proclamation ordering all flags on U.S. public areas to be flown at half-staff to honor her.